This book is written with courage and bracing honesty. The author, before she does anything else, shares her own story of pain and confusion, thereby making it clear that she writes from a well of understanding. 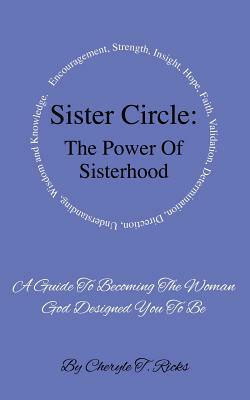 This is not some abstract checklist of what it takes to be a whole woman; rather, it is a heartfelt guide composed by a woman who has suffered through and survived the very challenges she wants to help other women overcome. Every woman should give this book to at least one other woman, and certainly every mother to her daughter. And it must be pointed out: no man will be the poorer for reading this for a better understanding of how very different a woman's struggles and needs are from his own. This book says, "Woman, heal thyself." The author makes it clear that this must happen first, before a woman can heal others, and that this can only happen by embracing God's healing love. The author's tone is conversational, sometimes even humorous in the midst of calamity. Clearly-recalled details draw the reader into her experiences, teaching through example, and the message of God's omnipresence and faithfulness is brought home repeatedly. There is universally sound advice here for struggling men, as well: ..".you are not the mistakes you make." Xulon Press Every woman should have a mentor or friend they can look to for advice during both the challenging and joyful times in life. Cheryle T. Ricks is that friend and through her conversational style of writing, you feel as if she's right next to you as you read. Her transparency lends authenticity to her life story and credibility to her wise words. You'll walk away from this book feeling as if you've made a new friend. Erika Bennett, Xulon Press Editor.